Drawing on more than a decade of teaching, the author presents a collection of lessons and techniques that includes forms, websites, activities, and current information focusing on a range of challenging issues. 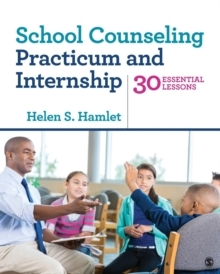 The text is structured as 31 lesson plans, 30 school counseling topics plus one "bonus" lesson to help students transition to the workforce, including relevant standards, objectives, and activities. This unique format functions as a model for students to develop their own curriculum and lesson plans.